Near-infrared spectroscopy (NIRS) has recently been proposed as an indirect technique to assess brown adipose tissue (BAT) in young men. NIRS arises as a novel technique to avoid the limitations of the “gold-standard” 2-deoxy-2-[18F]fluoro-D-glucose ([18F]DG) positron emission tomography combined with X-ray computed tomography (PET/CT). 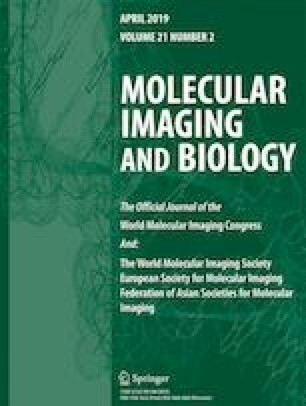 The aim of this study was to examine the association between near-infrared spatially resolved spectroscopy (NIRSRS) parameters and BAT volume and activity estimated by [18F]DG-PET/CT in 18 young healthy women. NIRSRS parameters [tissue saturation index and concentrations of total haemoglobin, oxy-haemoglobin, and deoxy-haemoglobin] were continuously measured in the supraclavicular and forearm regions, in both warm and cold (2 h of personalised cold exposure) conditions. Then, the NIRSRS data were analysed as an average of 5 min in 4 different periods: (i) warm period as the baseline record, (ii) cold period I, (iii) cold period II, and (iv) cold period III. The data were then correlated with BAT volume and activity (SUVmean and SUVpeak) estimated by [18F]DG-PET/CT. There was no association between the NIRSRS parameters in the supraclavicular region in warm conditions (no previous cold exposure) and BAT volume and activity (P > 0.05). Similarly, the cold-induced changes of the NIRSRS parameters in the supraclavicular region were not associated with BAT volume and activity (P > 0.05). NIRSRS does not seem to be a valid technique to indirectly assess BAT in young healthy women. Further research is needed to validate this technique against other methods such as PET/CT using different radiotracers or magnetic resonance imaging. Francisco M. Acosta and Jörn Berchem contributed equally to this work. The online version of this article ( https://doi.org/10.1007/s11307-018-1244-5) contains supplementary material, which is available to authorized users. We are grateful to Ms. Carmen Sainz-Quinn for the assistance with the English language and to Marco Dat (Artinis Medical Systems) for his excellent technical assistance. The study was supported by the Spanish Ministry of Economy and Competitiveness (PTA 12264-I), Fondo de Investigación Sanitaria del Instituto de Salud Carlos III (PI13/01393), and Retos de la Sociedad (DEP2016-79512-R), Fondos Estructurales de la Unión Europea (FEDER), by the Spanish Ministry of Education (FPU 13/04365 and 15/04059), by the Fundación Iberoamericana de Nutrición (FINUT), by the Redes temáticas de investigación cooperativa RETIC (Red SAMID RD16/0022), by AstraZeneca HealthCare Foundation, and by the University of Granada, Plan Propio de Investigación 2016, Excellence actions: Units of Excellence; Unit of Excellence on Exercise and Health (UCEES). This study is part of a PhD thesis conducted in the Biomedicine Doctoral Studies, University of Granada, Spain.